Steve Barrager is a pioneer in developing the profession of strategic decision coaching. He works with teams in Fortune 500 companies, research institutes, and government. 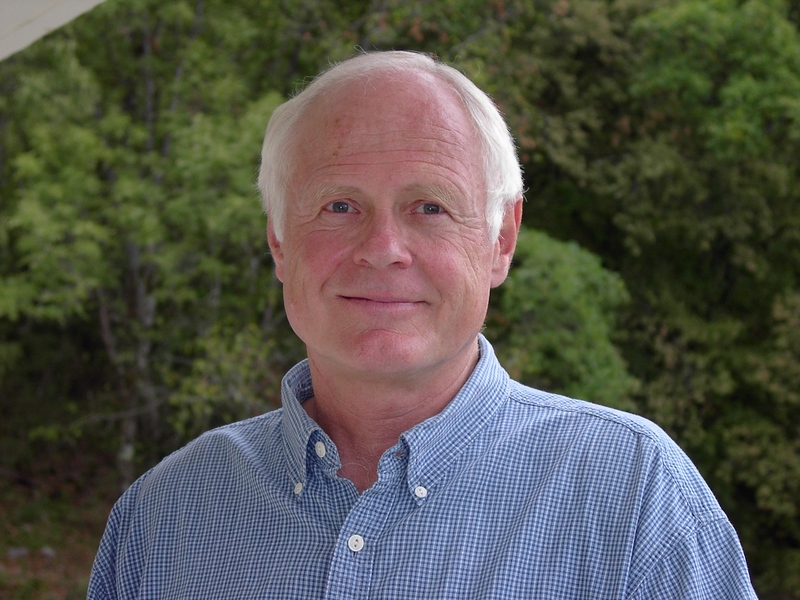 He lectures on decision making in organizations and environmental decision making at Stanford University. He is currently writing about the science and engineering of organizational decisions. He was Chair of the Science Advisory Team and a member of the Leadership Team for the California Marine Life Protection Act Initiative. He has had several appointments with the Pacific Fishery Management Council (the body that regulates fishing on the West Coast). He was affiliated with the Environmental Policy Program in the Stanford Law School. Barrager has worked in a wide variety of business sectors: aerospace, computer, automobile, chemical, electronics, mining, transportation, food, and energy. He has facilitated many senior executive workshops and taught strategic decision making and R&D planning to executives. He has led multidisciplinary, multinational teams in Asia, Europe, South America, and the Middle East. Barrager was a founding partner of Decision Focus, Incorporated (DFI) in California’s Silicon Valley. At DFI Barrager worked with the Electric Power Research Institute (EPRI) to develop the first framework and tools for utility planners to do demand-side planning, that is, to use conservation and customer demand modification to avoid the need for new power plants. Today, the concepts he developed are used worldwide. Also while at DFI, Barrager founded and led an independent company, Electric Power Software, to develop and market software products spun off from DFI’s consulting practice. Software clients included electric utilities that accounted for two-thirds of all power generation in the U.S. Early in his consulting career, he worked for three years in the Decision Analysis Group at SRI International in Menlo Park, California. While there he worked on such diverse projects as the comparison of coal and nuclear fuel cycles for the National Academy of Sciences, estimation of California’s geothermal potential, and forest fire management strategies for the US Forest Service. Before graduate school Barrager was an advanced manufacturing engineer on the the IBM 360 computer program. He has two patents for thin-film magnetic head technology. Right out of college Barrager was a control systems engineer on the Apollo Project. 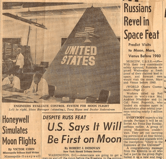 He and colleagues determined the feasibility of a lunar rendezvous. That’s him (with a pocket protector) standing next to the analog computers. Barrager has served on the boards of several nonprofits including over 10 years on the Board of the Hidden Villa Trust. He is currently on the Board of Shattuck-St. Mary’s School in Faribault, Minnesota, where he is part of a team developing an innovative new high school curriculum that stresses creativity, design, and collaboration. He is the founder and President of Institut d’Archéologie et d’Histoire des Alpes, a sponsor of research and education programs. He is a member of INFORMS, IEEE, the Long Now Foundation, and a Fellow of the Society for Decision Professionals. Barrager earned a Ph.D. Degree at Stanford University from the Management Science and Engineering Department (formerly Engineering-Economic Systems) in 1975. Decision analysis was his research focus while at Stanford. He was the lead teaching assistant for the probability and decision analysis course sequence. His undergraduate work was in systems engineering at Northwestern University. He is a member of Pi Tau Sigma, the national mechanical engineering honorary fraternity. INFORMS Conference, 2014, The Collaborative Design Process and Decision Engineering. INFORMS Conference, 2014, Public Decision Making in California: Designing a Network of Marine Reserves. INFORMS Conference on Business Analytics and Operations Reseach, 2012, A New Profession is Emerging: Decision Coach. National Research Council, 2001, “Design of the Corvette”, presented to Board on Manufacturing and Engineering Design, Theoretical Foundations for Decision Making in Engineering Design. Barrager, et al, 1982, Load Management Strategy Testing Model, Electric Power Research Institute, EPRI EA-2396. Barrager, S.M. and R. Drake, 1979, Mathematical Models for Atmospheric Pollutants, Electric Power Research Institute, EPRI EA-1131. © 2010 Baker Street Publishing, LLC. All Rights Reserved.